Viper Minnow Wake Baits possess a lifelike swimming action due to their construction featuring 10 linked Kevlar splits. 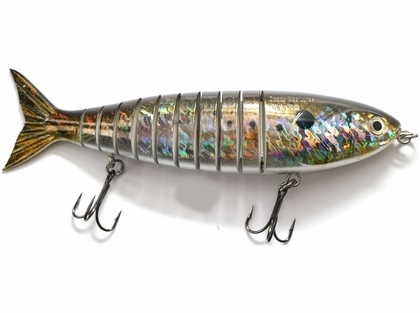 Daddy Mac 9'' Viper Minnow Wake Baits possess a lifelike swimming action due to their construction featuring 10 linked Kevlar splits. Featuring VMC treble hooks, your new wake bait will be sure to be ready for anything you can throw at it!